The technology has come a long way since 1997 when NASA’s first rover landed on Mars, which only had five cameras. And now a new rover with 23 cameras has been announced to be the next traveller to Mars. The name has still not been decided as well as the launch date. The futuristic cameras are being built by experts at NASA's Jet Propulsion Laboratory in Pasadena, California. Enhanced engineering Cameras: Higher resolution, colour, wider fields of view. The engineering cameras are more than capable to capture a large image of a field rather than connection different image together. The cameras are also able to reduce motion blur so they can take photos while the rover is on the move. Mastercam - Z: Curiosity also has this camera technology. But 2020’s Mastercam - Z is better because ‘Z’ stands for “Zoom”. It can support more 3D images. This is helpful for geologic images from a long distance away. This could reveal geological clues for feature scientists. SuperCam Remote Micro-Imager (RMI): The highest-resolution remote imager will have colour. NASA jokes that 2020 rover will have a 20/20 vision. SkyCam: A Sky-facing camera for studying clouds and the atmosphere. Now there is a possible problem in this rover, which is beaming more data through space. Maki said. "Cameras are capable of acquiring much more data that can be sent back to Earth." 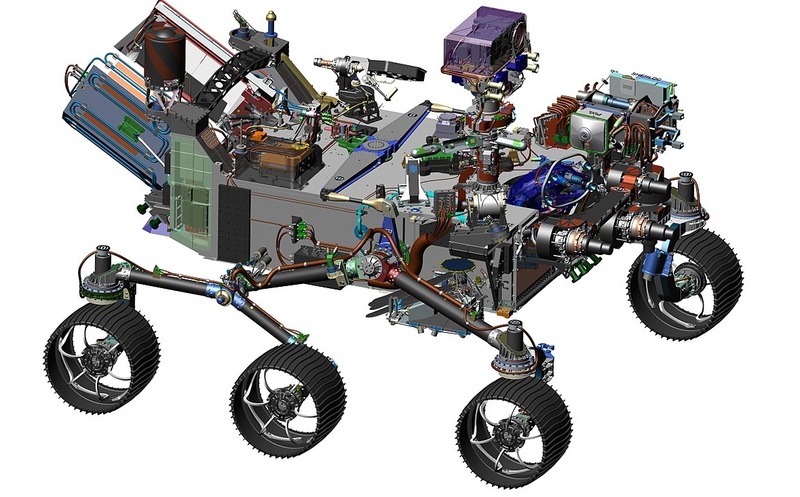 Curiosity, NASA’s current rover is still on mars exploring for five years but was originally scheduled for two years. This new rover is going to launch in July or August in 2018 when earth and mars will be in optimum position. This mission is a progress of the ongoing Mars research, whether there’s life on Mars, collecting more samples and testing oxygen production and the Martian atmosphere.